In Arizona, DUI is taken seriously. Because of the severity of DUI charges, the punishment is severe. A single DUI conviction can result in hefty fines and penalties, a suspended driver’s license, the use of an ignition interlock device, and jail time. The kind of DUI charges you face and the number of previous offenses all play a role in the severity of your punishment for an Arizona DUI conviction. If you are facing any kind of DUI charge in Arizona, you should enlist the help of a criminal defense attorney who is familiar with Arizona DUI laws, so you can make sure your rights are protected and ensure you are treated fairly throughout the legal process. If your chemical test revealed a blood alcohol content (BAC) of .08 or higher, you can face DUI charges. A BAC of .08 percent to .14 percent will lead to a charge of DUI and DUI with a BAC of more than 08 percent. If your BAC exceeds that amount and is .15 or higher, you will be charged with DUI, DUI with BAC of more than .08 percent, and extreme DUI. With either conviction you will face suspension of your driver’s license, jail time, fines, and the required use of an ignition interlock device on your vehicles. Your vehicle will not operate unless your BAC is 0.00 when checked by the ignition interlock device. How Will An Ignition Interlock Device Help Me? New laws passed by the Arizona legislature in recent years call for the installation of an ignition interlock device (IID) to ensure drivers cannot operate their vehicles while under the influence. If you have this device installed on your vehicle, you might be required to serve less time in jail before your sentence is suspended. As an example, the older laws required the driver to spend at least 30 days in jail before the remainder of the sentence could be suspended. The new law involving use of an ignition interlock device allows for the remainder of the sentence to suspended after only 9 days in jail if the device is installed on the driver’s vehicle. The driver convicted of DUI must agree to have the device installed on his or her vehicle(s) as soon as their license is reinstated. In some cases, alternative sentencing might be permitted. It is dependent on your current conviction and any past convictions you may have faced. For example, a first-time offender might be allowed work release, which will allow a jail sentence to be served on weekends and at night so he or she can continue to work. You might be allowed to wear an ankle bracelet and go within a monitored perimeter. You might have less jail time if you go to a drug and alcohol screening and treatment program to prevent repeat offenses. With the help of a criminal defense attorney who is knowledgeable about Arizona DUI laws, your sentencing can be negotiated. 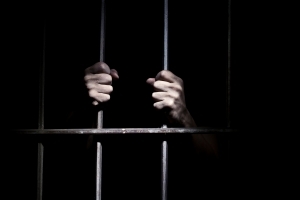 Your goal is to get your life back on track as soon as possible after an Arizona DUI conviction. When Should I Consult With An Arizona DUI Attorney? If you have been charged with any kind of Arizona DUI charges, you should consult with an Arizona criminal defense lawyer. DUI charges are serious matters that have major consequences. A single DUI charge can affect your life for years to come. Be sure to contact an attorney right away, so you can make certain your rights are protected and your defense gets on track. The earlier you get help, the sooner you can start defending yourself. 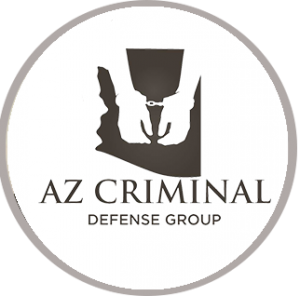 Don’t take Arizona DUI charges lightly or you could get severe punishment for an Arizona DUI conviction.